We offer Parallax design solutions that would innovatively convey your message and increase the brand awareness. 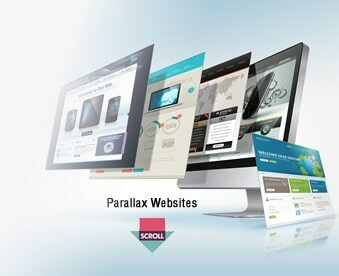 Parallax design is the new technique followed in Web designing. This vertical scrolling website visually motivates & engages visitors and provokes them to scroll the page up & down, as it brings in an element of excitement. It’s best for brands that have one line of products, to promote specific product’s benefit and functionality or for running a single campaign. We propose this single page design for client’s whose purpose of design is to create curiosity, interact with the visitor and add richness to their brand. Illustrative and impactful nature of parallax design will envelop the visitor in a dynamic environment & convey the concept easily. With HTML5 & CSS 3 technologies, we create captivative single page design that delights audience. Parallax design creates 3D effects, in other words it makes foreground to pop out a little. Here the background is moved slower than the foreground and so viewer will have an illusion of depth & distance. With CSS we make different layers of the web page & bring in the visual effects without the use of flash. It’s totally different from the traditional website that has boring text, here we turn your information into a story and create a story-line which would innovatively convey your message and increase the brand awareness. It animates page elements & scrolls in a vertical or horizontal pattern.